In 2 weeks’, time at #DIGEX2019 will kick off with an interesting program. Examples of applications of machine learning for the subsurface will be shown. At #DIGEX2019, the digital subsurface one of the important themes is how to use machine learning applications in a G&G workflow. There is a session on day 2 (see here for the full program) on the Subsurface which will be chaired by Kristian Brandsegg, COO at Exploro of the programme committee. One of the talks will be given by Tim Gibbons, a consultant for Geophysical Insights, with as title “multiple seismic attributes and machine learning improve geological understanding”. Seismic attributes are routinely used in geophysical studies nowadays and can reveal features, relationships and patterns in seismic data especially when combined in a multi-attribute approach. Different seismic attributes respond to different features of the geology they are displaying. Some respond to lithology, some to fluids, some to structural features. Depending on the problem to be solved, a set of appropriate attributes for that problem is selected. Having selected the right family of attributes to use, a further reduction in the number of attributes can be made using Principal Component Analysis (PCA). PCA is a linear mathematical technique to reduce a large set of variables (seismic attributes) to a small set, that still contains most of the variation of independent information. Having defined the set of attributes to use, the seismic samples can then be organised into clusters of points with similar values. The machine learning process used to identify these clusters is the self-organising map (SOM). 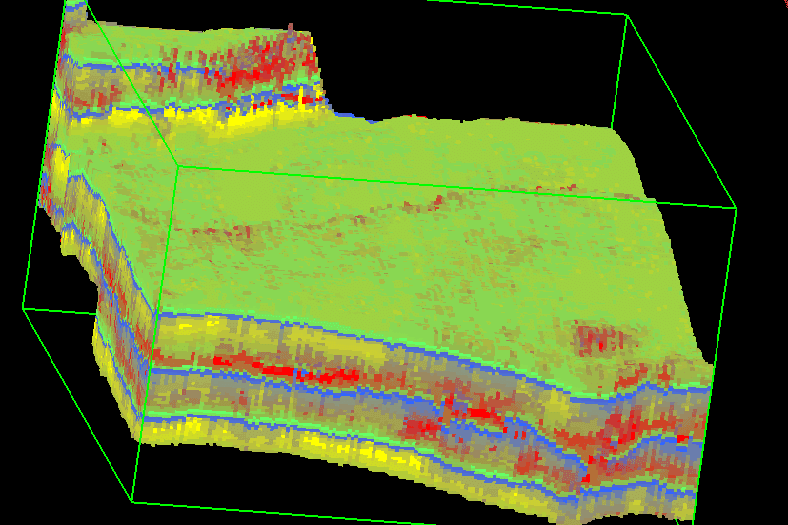 With modern visualisation capabilities and the application of 2D colour maps, SOM routinely identifies meaningful geological patterns. At Petex in London, Gibbons showed for example the use of this type of multi-attribute analysis on the Oda Field in the Norwegian North Sea. The top reservoir was not mappable on seismic due to tuning problems but with the right attribute selection, a seismic volume could be generated where it was possible to distinguish top reservoir. This volume was then used by the operator Spirit Energy to decide how far up the structure the development should be drilled.